Danish tuning company Startech has leaked a custom variant of the Land Rover Defender. 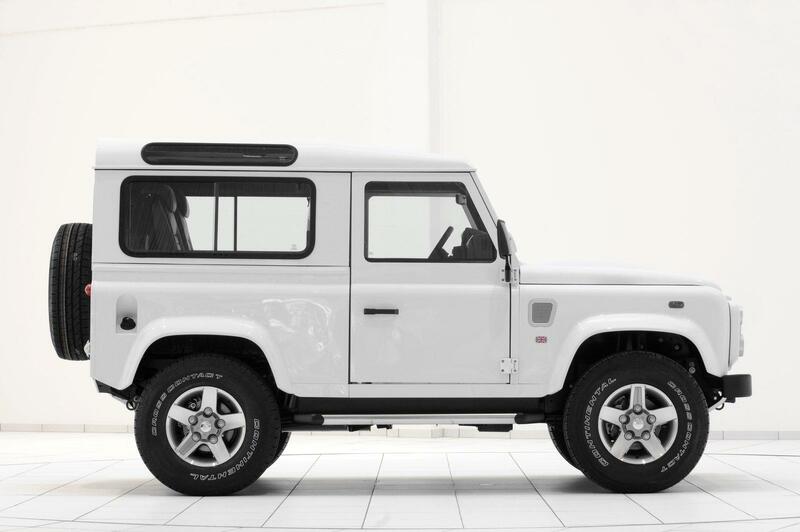 The Land Rover Defender 90 Yachting Edition is essentially a standard hardtop Defender SVX from the outside distinguishable only by its custom bright white paint, running boards with integrated entrance lights and wider tires. The interior, however, is a bit more modified. Startech swapped out the standard leather for custom navy blue leather complete with contrasting seams. Other upgrades include a navy blue Alcantara headliner, navigation and revamped sound system. Land Rover teamed with Startech (subsidiary of Brabus) to propose a 4X4 on the theme of the yacht. This Land Rover Defender 90 Edition Yachting dressed in white is equipped with SVX front grill and aluminum rims 16 inch 275/65 R 16 roadway. Inside, the mood is blue. Inside, the atmosphere is blue found on the Recaro seats, dashboard and door panels. To the floor when it is like on the boats teak and black alcantara headliner. Under the hood no change… This Land Rover Defender 90 Yachting Edition is currently showcased at the Essen Motor Show in Germany.